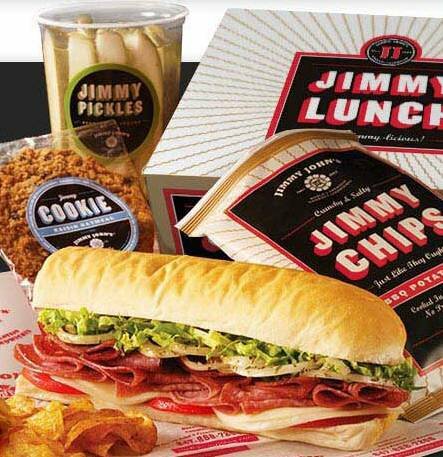 For delicious sandwiches made with fresh ingredients, visit Jimmy John's Gourmet Sandwiches in Edmond. Offering seven varieties of 8-inch sub sandwiches, six slim sandwiches and eleven giant club sandwiches, Jimmy John's has a sandwich to satisfy any appetite. Try the beach club, a combination of turkey breast, provolone cheese, avocado spread, sliced cucumber, lettuce, tomato and mayo on a fresh baked bun. If you're looking for a smaller serving, check out the plain slims, which is any sub minus the vegetables and sauce. The Pepe is another popular choice and comes with applewood smoked ham, provolone cheese, lettuce, tomato and mayo. Get it with a side of Jimmy chips or a fresh baked chocolate chunk or raisin oatmeal cookie.